If you've been eyeing the Honor 7X and haven't yet purchased one, you might want to wait until tomorrow - April 6, at 10 AM PST. That's when the Huawei sub-brand will start a flash sale in the US, during which you'll be able to buy the Honor 7X for just $1. No typo, it's really $1. The caveat is rather obvious. Since this is a flash sale only a limited number of devices will be available at that price. The sale ends on April 8 at 10 AM PST, but you're only likely to actually find a unit in stock for $1 if you act fast tomorrow. 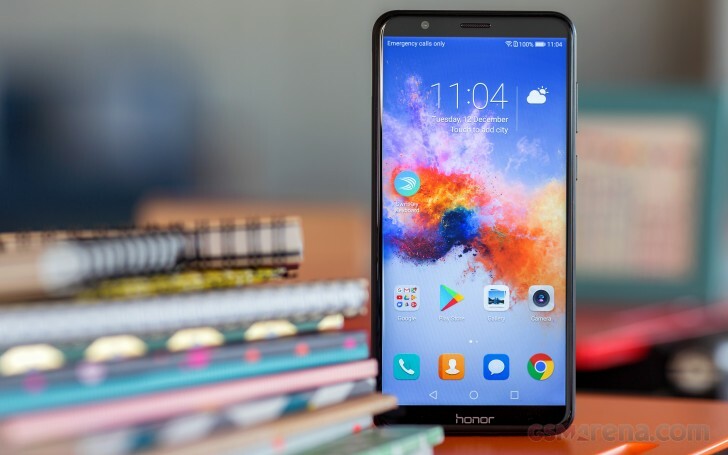 If you aren't able to get the Honor 7X at that incredible price, you can purchase it for $199.99 and receive a free pair of earphones - that is, if you buy from Honor's online store between 10 AM and 12 AM every day. If you want the Honor View 10 instead, you will be able to grab one for $469 from April 6 to April 8, by using the coupon found at the Source link below. Since this phone now goes for $499, you're saving $30 if you opt to wait until tomorrow and apply the coupon. Finally, the Honor 6X has received a price cut and can be bought for $149.99 (down from $199.99). This is once again a limited quantity situation, keep in mind. If you're after accessories instead, you can buy the Honor Band 3 for $39 ($20 less than usual), Bluetooth earphones for $39.99 (down from $49.99), and wired earphones for $9.99.